It’s been nearly 24 years since The Cars released a studio album — 1987’s Door To Door. After four and two score years, yesterday saw the release of Move Like This, the band’s latest album. All of the band’s original members reconvened for this effort, with the notable exception of bassist and vocalist Benjamin Orr, whose voice you’ll recognize singing lead on “Drive,” “Let’s Go,” and one of my all-time favorites, “Just What I Needed.” It’s relatively clear that he’s the one thing this new album is missing. Orr passed away in 2000 after a battle with pancreatic cancer. Lead singer Ric Ocasek handles all the vocals on this seventh album by the band. Ocasek himself has been quoted as acknowledging that Orr would have done a better job on half of them. While this is likely true, the album is still really good. It’s classic Cars. Isn’t that what we want? Too often you hear bands from decades ago reunite in an attempt to re-invent themselves. Too often these bands simply sound old. Members of these bands have a misguided interpretation of where they fit in within the confines of pop culture. I’ve loved The Cars since seventh grade. I remember walking home from school in the warmth of spring listening to “Just What I Needed” on my cassette walkman. At the time I had a crush on April Velazquez. I still do, really. And Move Like This sort of reminds me that I do. The individual gray hairs that are beginning to decorate my beard might remind me that I’m not 13 anymore, but this album is as effective as any Just For Men product when it comes to reclaiming some semblance of youth. While it appears that the band hasn’t released any of the album’s songs as a single, it occurs to me that if the MTV that we knew in the 80’s (where they actually played music videos) still existed today, it’s possible that one of several songs off of Move Like This would be featured in heavy rotation. The best thing about this album is that they sound like The Cars. Each song is simple, poppy, well-structured, and quirky, yet somewhat profound. One could argue that a drawback to this album is that it doesn’t really show any major growth by The Cars as a band. It’s true that they may have gone back to the well for the soft, repetitive two-string chords and light, steady high-hat beats that remain their signature. But that’s the thing, they didn’t forget the formula, and it still works. Though it might’ve been nice to see some departure, I guess that’s what solo careers are for. However, perhaps it also represents why the extended hiatus was a positive thing. Twenty-four years worth of these albums may not have been the greatest legacy, but an album like this ain’t too bad. Despite the nearly quarter-century absence, it’s nice to know that they’ve found their way back to the record store shelves. We still have record stores, right? Again, it’s worth noting the absence of Ben Orr. His vocals would have perfectly suited songs like the enchanting “Soon” or the eerily familiar-sounding “Sad Song” (which doesn’t actually sound sad at all). This album is vintage early Cars. Many will remember Orr’s vocals from 1978’s “Moving In Stereo” which was featured in the movie Fast Times At Ridgemont High. If I have to remind you, it’s played during the slow motion Phoebe Cates/bikini scene. That’s pretty much all that’s missing from this album. 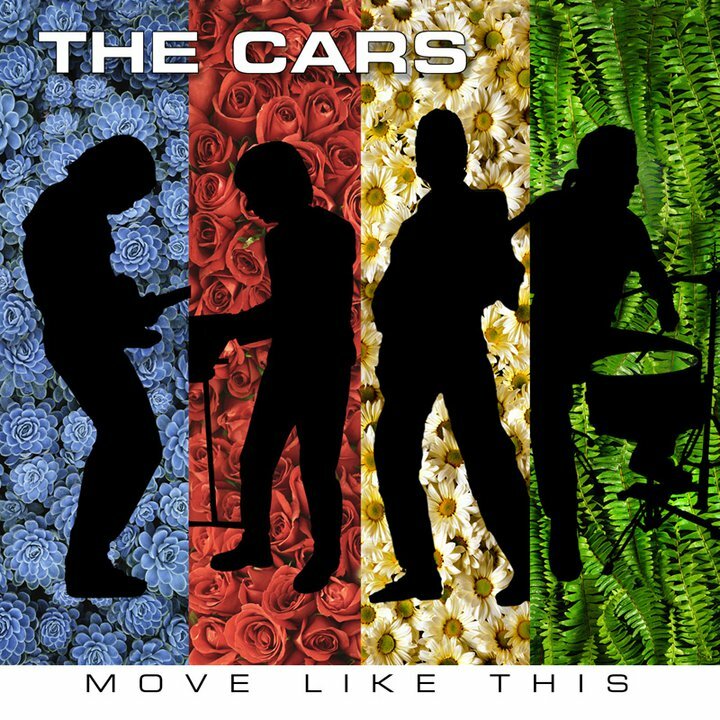 They’re lacking the mysterious synthesizer and Orr’s voice that helped make the Cars sound like a more complete entity. On no song is this more evident than it is on “Take Another Look.” Ocasek does a decent job with the song, but the opening lines make it clear that Orr’s higher vocal range was invaluable to the band’s success over the years. This does not diminish the overall brilliance of the album, however. It’s as a close a return to what we love about the band as one could hope. Actually, nevermind downloading this album, run out to your local Record Town or Musicland to pick up a cassette tape of your very own. Just don’t hurt yourself trying to open that ridiculous, plastic shoplifting-prevention packaging that audio tapes used to come in. You know what I’m talking about, thirty-five-and-over year olds. Very positive appraisal. I’ll have to check it out! If you like The Cars at all, you’ll definitely appreciate it, my friend.